Players’ Lounge is a platform where gamers can play their favorite video games against others for prizes. Zach Dixon and I founded the company in the fall of 2014. Today, players earn millions of dollars in prizes on the site every month and we just closed 3MM in funding. It’s crazy to think this all started because it was tough to fit more than five people in a New York City apartment. The idea came because Zach (my cofounder and college teammate on the Wesleyan University Soccer team) and I enjoyed LAN parties, an old-school term for a bunch of people hooking up consoles to TVs and gaming competitively together in the same room. We played a lot of FIFA, and we missed doing this post college. We decided to start hosting gaming nights at bars, where we people from across the tri-state area would come to play in a FIFA tournament. It was an easy sell to the bars — they had bingo and trivia to bring in patrons on a weeknight. Why not add gaming? 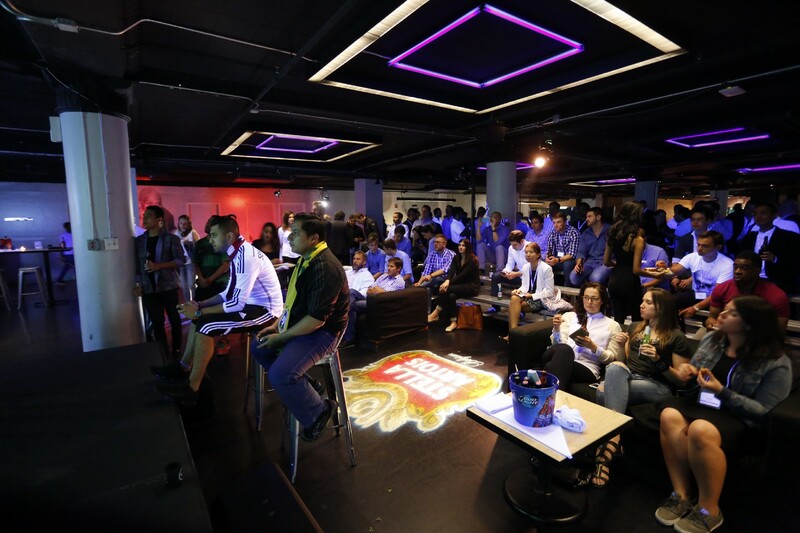 A Players’ Lounge FIFA tournament held in 2015. We ended up growing to the point where we ran leagues and tournaments throughout Manhattan, Brooklyn, Queens, San Francisco and Toronto. Players gathered for gaming three times a week in each city. If you haven’t been to an event like this, imagine the student bar in the hometown of a college during an away game — high energy, loud and dramatic. These events became the foundation for local communities of gamers. Many new friendships were made, including our CTO Dan who was the first attendee at our first ever event in Williamsburg. During these events we discovered that there was a problem in need of solving. There was a massive market of casual — yet competitive — gamers but no infrastructure for them to compete in an easy way. One approach would be to keep scaling out these events but the appetite was much bigger that. The internet can bring the joy of competing in a low stakes video game tournaments to everyone, at any time. And by extension, the community around it grows and becomes much more accessible. Today there are 350m gamers above the age of 18 playing online, and a very small percentage of them are making a ton of money playing professionally. All the while, millions of gamers are watching the professionals and want to make money playing video games as well. Players’ Lounge is giving this opportunity to everyone. Before Players’ Lounge there were only two clear ways to make money playing video games: 1. Going pro, which is basically being the Lebron James of your favorite game, or 2. Become a Twitch streamer, which is more reliant on one’s charisma than gaming acumen. Now, anyone above the age of 18 years old. — from college students to 9–5 office workers — can make money playing video games using Players’ Lounge. We match users up against others within the same skill range, so players should never feel uncomfortably outmatched. We were accepted to ycombinator in November ’18, which immediately changed the trajectory of the company. We grew 10x during our time there and had the luxury of being able to raise from some of the most reputable VCs and angels including Drake, Strauss Zelnick, Marissa Mayer, Comcast Ventures, Macro Ventures, Canaan, Sinai Ventures, Chetrit Ventures, RRE, and Courtside. 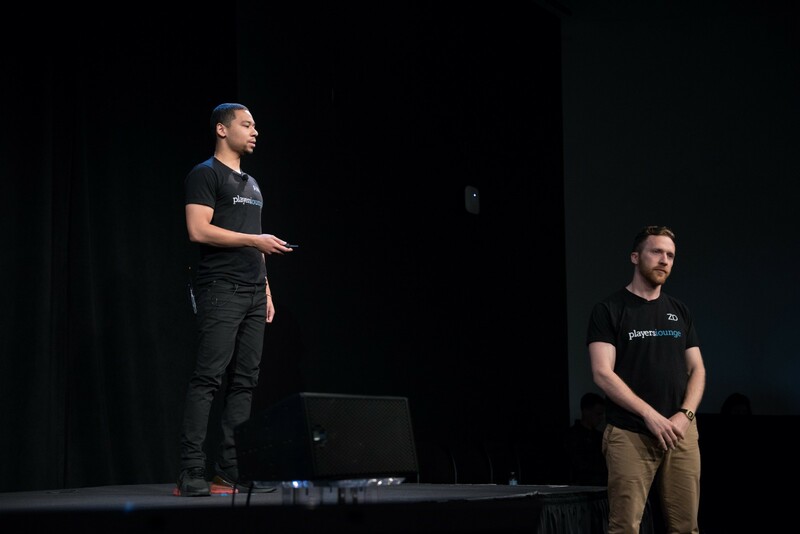 Myself (left) and Zach (right) presenting at YC Demo Day. In 2019 we plan on expanding our development team, supporting more games, adding streaming functionality and creating new formats for our community to compete in. We’re growing like crazy, but it still feels like we’re cultivating a tight-knit community of gamers and doing something we love — if we do our job right, that’s always how Players’ Lounge will be.